This was a single-list tournament, which is apparently unusual. 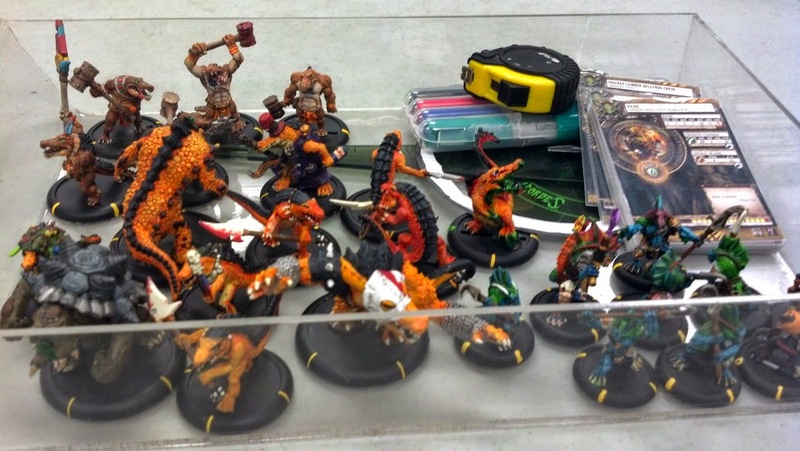 This was my first tournament, organized by Les at Connection Games at Renfrew, and it was totally a blast! 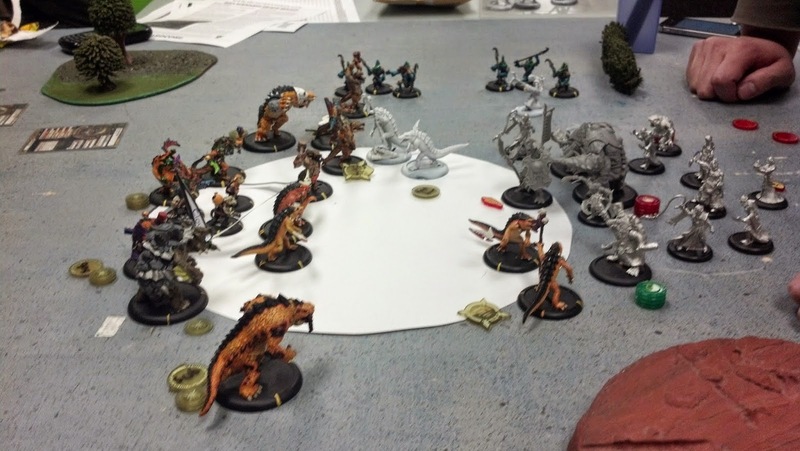 First match vs Serg was uneventful, because it was mostly my gators punching rocks all goddamn day, and almost getting myself assassinated, and then his guys teleporting into my backline, and um, yeah... Circle is dumb. Oh, and I forgot to take pics, which is a shame, honestly. He picked up very quickly that I was an inexperienced player, and helped me with a lot of things. Thanks, Serg! Him keeping his left flank near the board edge for my Trogs to ambush didn't help him much either, heh. Everyone seems to forget about the Bog Trogs! ... Myself included, sometimes. Also, see that horseman on the left hand side? He would have killed Rask (On Feat turn, no less!) but he missed with his third shot.... SO CLUTCH. 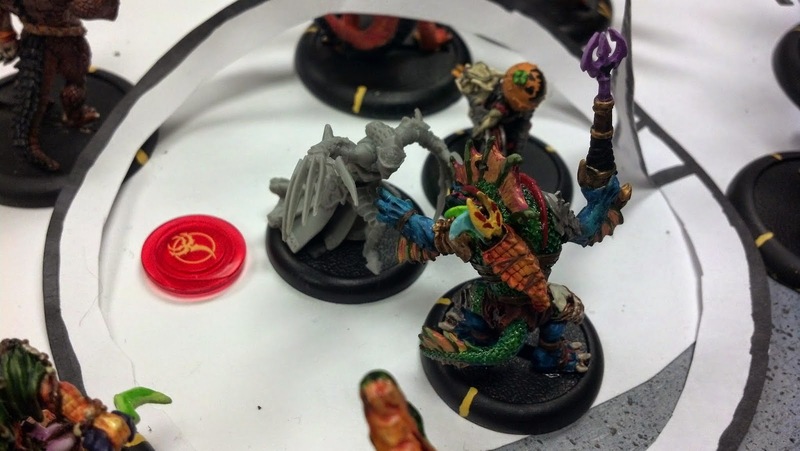 NOTE TO SELF: Don't ever try to gamble with Ironback Spitters' acid spit. It can/will deviate back towards your guys and corrode your gators. 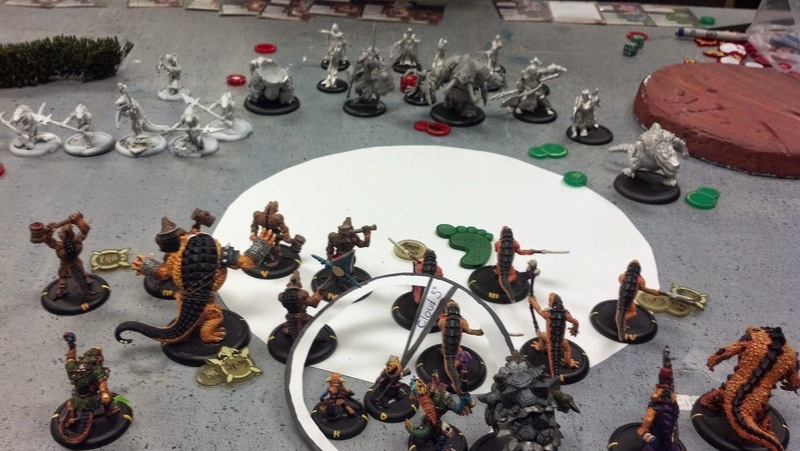 Edit: It seems that my opponent wrote up a thorough Battle Report (With much better pictures, too!) 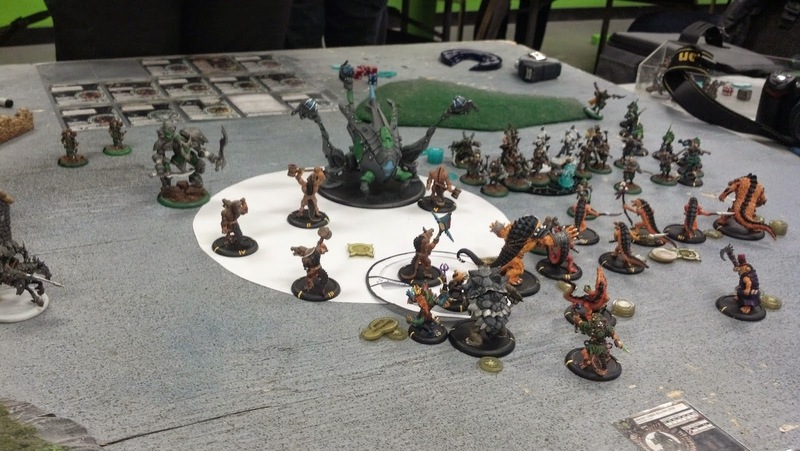 of the Ossyan vs Rask bout, here's a link to it on the official Privateer Press forums! Vs Skorne - I think this was end of my second turn. See that foot token? 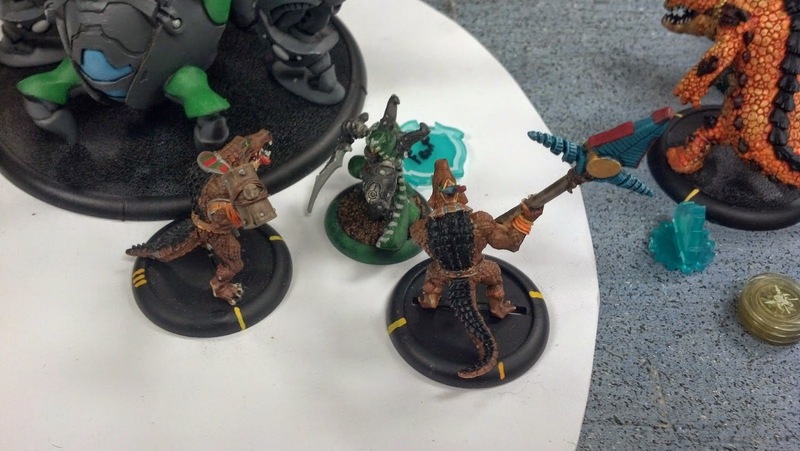 That means I used Rask's feat, which makes it so that my guy cannot be charged or attacked from models more than 5" away.... See how all of his guys are more than 5" away? Yeah, exactly. Vs Skorne - See Morghoul, beside the Gladiator there?